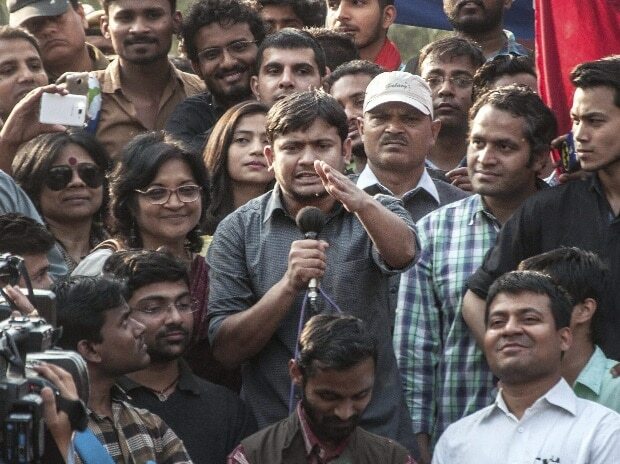 A court here questioned the Delhi Police on Saturday for filing charge sheet against former Jawaharlal Nehru University Students' Union (JNUSU) president Kanhaiya Kumar and others in the 2016 JNU sedition case without procuring the requisite sanctions. The police told Metropolitan Magistrate Deepak Sherawat they will procure the required sanctions within 10 days. "Why did you file (the charge sheet) without approval? You don't have a legal department," the court said. The court is likely to resume hearing on the matter soon. The Delhi Police had on January 14 filed the charge sheet at a city court against Kumar and others, saying he was leading a procession and supported seditious slogans raised on the varsity campus during an event in February 2016. Police also charged former JNU students Umar Khalid and Anirban Bhattacharya for allegedly shouting anti-India slogans during the event held on February 9, 2016, to commemorate the hanging of Parliament-attack mastermind Afzal Guru.